3.Positioning Malaysia as the Regional Development Hub for IoT. As one of the leading economies in Southeast Asia, the Malaysian IoT market has a large potential, and the government plays an important role in pushing for IoT to be more widely understood and adopted in organisations, enterprises and businesses in the country. To ease the adoption of IoT, the Ministry of Science, Technology and Innovation (MOSTI) and MIMOS (the National R&D Centre in ICT under MOSTI) have embarked on various projects to boost innovation competitiveness, nurture and grow IoT talent, and groom IoT services in the country. The country’s first IoT cloud data centre and research lab was established in 2015, where the government collaborated with companies such as Cisco, Dell, IBM, Intel and Kontron to provide opportunities to design, develop and commercialise innovative, market-driven IoT products and solutions. Adopting IoT successfully requires entrepreneurs and enterprises to understand IoT’s potential and capabilities. 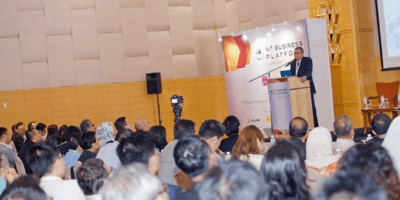 To accelerate this process, Malaysia Digital Economy Corporation (MDEC) - a government-sponsored initiative to create a hi-tech business corridor in Malaysia - holds several programmes to help local companies grow their businesses and go global. For example, MDEC’s Immersion Programmes have exposed the companies to other successful efforts within the ASEAN region, China and Japan. According to Norhizam bin Abdul Kadir, Vice President of MDEC Infotech Industry Development, MDEC accepted the task from the National IoT Strategic Roadmap to spearhead industry development in proliferating IoT adoption and growth, by connecting industry players within the IoT value chain and facilitate collaborations among impactful projects within and across verticals. IoT is set to overtake mobile phones as the largest category of connected device in Malaysia by 2018, according to Todd Ashton, head of Ericsson Malaysia and Sri Lanka. “IoT is coming to life within many industries and we already see that in Malaysia with the Connected Mangroves project," said Ashton. "In Malaysia, smartphone subscription surpassed basic phone subscriptions in 2015. By 2021, smartphone subscriptions for Malaysia will almost double, from almost 25 million in 2015 to more than 40 million." - meaning more than one subscription per person on average. This implies greater connectivity and accessibility to infrastructure that enable IoT technologies to proliferate and benefit the economy. Smart and connected cities is one of the verticals that are being heavily focused - by engaging partners locally and internationally. An MOU was signed by the Malaysia Industry-Government Group for High Technology (MIGHT) and Agensi Inovasi Malaysia (AIM) through its subsidiary company PlatCom Ventures Sdn Bhd, to ensure the delivery of SME development in Clean Technology via the Global Cleantech Innovation Programme (GCIP). As mentioned by Datuk Dr Mohd Yusoff Sulaiman, President and Chief Executive Officer of MIGHT, it is important for MIGHT to continue facilitating and preparing stakeholders along with other agencies to embrace the technology disruption issues. “It is important that we are ready and the ecosystem is supporting it,” said Datuk Dr Yusoff. Government regulations are crucial in the decision to adopt IoT, especially in the public sector. With the Malaysian government, particularly MOSTI and MIMOS aggressively pursuing IoT developments, Malaysia is poised to be a forerunner in the Southeast Asian and Asia-Pacific region in adopting IoT in to the public and private sectors. Continued enthusiasm, supportive policies and maintaining standards will allow more investors, companies and entrepreneurs to embrace the multi-faceted potentials of IoT, and putting Malaysia one step closer to achieving its Vision of becoming the Regional Development Hub for IoT. As part of the national MyIoT week, Asia IoT Business Platform will be working together with MOSTI, MIMOS, MiGHT and MDEC to facilitate collaborations and create opportunities for IoT to reach more organisations and enterprises in Malaysia and Southeast Asia. To be a part of this initiative, get in touch and drop us a note.